Australian ‘New Vogue Style’ Ballroom 'Dance at 8's' Australian 'New Vogue Style' Ballroom is a subtle blend of American Smooth and European Ballroom resulting in an exciting Sequence style which enables dancers to express themselves using arm head and body moves within a set sequence of variations. 'New Vogue Style' works in a similar fashion to Sequence where all couples start and finish a 16 or 32 bar routine in the same position. The difference is, during the routine there are many options with arm, head and body positions making your routine sometimes quite different than the other couples. Dancers will also have the chance to learn more advanced variations which in the past would not have been included in Modern Sequence routines. SOCIAL FOXTROT can be danced to a variety of jazzy musical styles. Most of the Big Band standards played at weddings and dances are Foxtrots. SLOW FOXTROT or REAL FOXTROT is a more technical style that is commonly seen in Ballroom Dance Competitions and on Strictly Come Dancing. QUICKSTEP It is very popular in Europe as a competition dance. 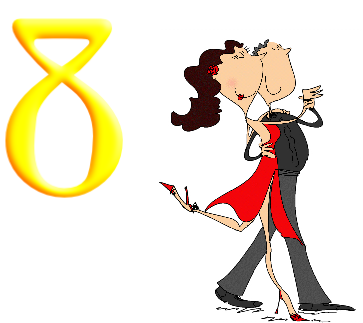 It ranks among the "Big Five," the other three being the Slow Foxtrot, the Waltz, the Tango and the Viennese Waltz. AMERICAN SMOOTH STYLE WALTZ / FOXTROT has a fun "theatrical" quality because the couples can open up to allow for smooth flowing lines and spins. Fred Astaire and Gene Kelly both used the long, smooth movements of Waltz to cover a lot of ground gracefully in their cinematic routines. American Smooth is more elaborate and less restrictive style. TANGO The choreographic sources of the Tango are Argentine and Spanish folk dances. In the 19th century, the Tango became wide-spread in South America, and it first appeared in Europe at the beginning of the 20th century. ARGENTINE TANGO The forerunner of the Modern Tango . The Argentine Tango was created by the Gauchos in Buenos Aires. It was actually an attempt on their part to imitate the Spanish dance except that they danced it in a closed ballroom position. The essence of Argentine tango is about life and, especially, about the relationship between a man and a woman. The dance is called "the history of love - for three minutes." MODERN TANGO or BALLROOM TANGO A refined, technical version of the Argentine Tango. A closer hold and slick staccato actions but with similar intense feeling to Argentine Tango. Ballroom Tango is danced in 4/4 time. Easily Recognised by it’s sharp staccato head movements. MILONGA The Milonga is a Spanish dance first originated in Andalusia. As the fascinating music travelled the world it assumed various aspects. In Buenos Aires the Gauchos danced it in what is called a closed position, in the lower class cafes. Here their interpretation of it emerged into what today is our Tango. The Milonga enjoyed a popular resurgence some years ago through the Juan Carlos Copes group who performed it the world over. VIENNESE WALTZ is a rotary dance where the dancers are constantly turning either in a clockwise (natural) or anti-clockwise (reverse) direction interspersed with non-rotating change steps to switch between the direction of rotation. A true Viennese waltz consists only of turns and change steps. Viennese waltz is the original form of the waltz and the first ballroom dance in the closed hold or "waltz" position. HOLLYWOOD STYLE LINDY Hollywood Swing is a style of Lindy Hop from Los Angeles in the 1940s. The dance has a variety of different names, Smooth Style Lindy, L.A. Style & Dean Collins Style.... "Hollywood Style" reflects both the geographic origins of the dance and also it's appearance in so many movies. Hollywood Swing is not only the absolutely authentic jitterbug style it is also the original rock 'n' roll jive as danced in the classic R 'n' R films of the '50s. This is the Real Deal. ROCK 'N' ROLL A popular form of the Swing or Lindy Hop. Began as a dance done mostly by teenagers who were fans of singers like Elvis Presley and the Beatles. Everyone welcome, with or without a dance partner. Here is more information about the various Ballroom, Latin American & Argentine Dance styles. Which ones would you like to learn? We can teach you !